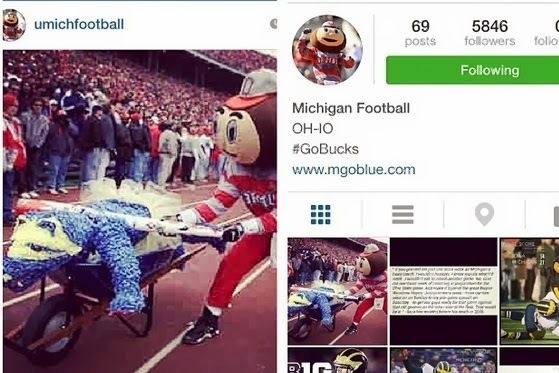 Yesterday an ambitious, creative, devious Ohio State backer managed to hack the M_chigan football Instagram page and change the avatar to Brutus, and Instagram a picture of Brutus taking his frustrataion out on a Maize-and-Blue pinata. Awesome. A screenshot was grabbed by Instagram user The Real Slacker, and thank you to CBS Detroit and Bleacher Report for capturing the awesomeness. No word on what Brutus was doing to the pinata in the Snapchat that wasn't screen-captured.